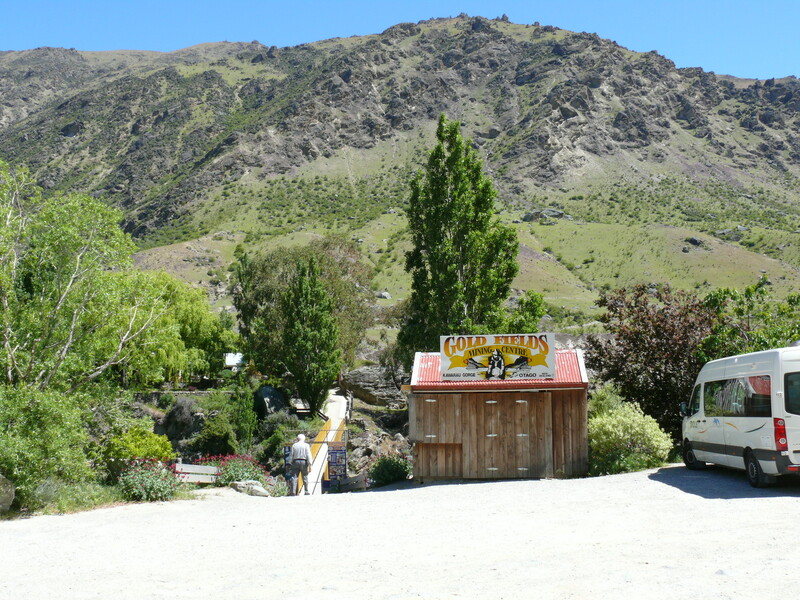 Towards Queenstown, just 10km from Cromwell on SH 6, is the commercially run Goldfields Mining Centre. Here you will see a range of displays, the spectacle of working goldmining machinery of another era, including a working stamper battery, and a tour walk of the Gee’s Flat diggings. You can pan for your own gold, from pay dirt, and, with a little goldminer’s luck, you may even take away a few gold flakes.